Bashful Strawberry Bunny is so full of sunshine! 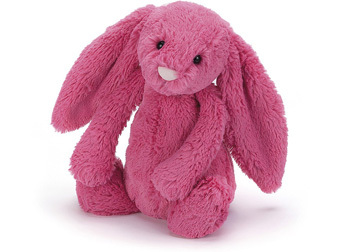 This fruity-pink bunny is the sports day hopping champion, and a roly-poly pal for you to tumble about with. She doesn't even make a sound when her soft feet touch the ground!